William Emmert Swigart, Jr. was the third of five children born to W. Emmert and Eva (Workman) Swigart. A 1933 graduate of Huntingdon Area High School, William first attended Wooster College in Wooster, Ohio, before returning to Huntingdon to complete his education at Juniata College. Upon graduation in 1937, William joined the insurance firm founded by his father. He left the business for a short time to serve with the U.S. Army during World War II, where he attained the rank of Captain. After the war William returned to Huntingdon to resume his active life as a businessman, community leader, and antique car collector. William and his wife, Helen (Fetterhoof), married in 1940 and were the parents of four children and eight grandchildren. After Helen passed away on May 11, 1991, William married Patricia Bittner Trefz of Hummelstown in October of 1992. Upon the death of his father in 1949, William became Corporate Vice President and, later, President and C.E.O of Swigart Associates. Throughout his life William remained involved in the insurance profession, handling antique automobile insurance until his death. 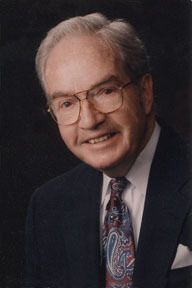 He actively supported the community, founding the Huntingdon County Community Chest (now United Way) in May,1937, and serving on their Board of Directors for over 60 years; earning the Silver Beaver Award in 1987 and the Good Scout Award for his involvement with the Boy Scouts of America; supporting the development of Juniata College; and serving in a variety of capacities in other community organizations. In addition to accomplishments within the business sphere and community, William gained the respect of antique car enthusiasts throughout the nation for his efforts to promote the collection, care, and appreciation of automobile history. Besides collecting some of the most significant cars ever produced, William founded the Allegheny Mountain Region chapter of the Antique Automobile Club of America in 1951 and was a founding member of the Society of Automotive Historians. He also served as President of the Antique Automobile Club of America from 1956-1957 and on their Board of Directors for 35 years, and was named to the Kruse Collector Hall of Fame in 1997. For his achievements, the National Association of Automobile Museums awarded him the Lifetime Achievement Award for individual contributions to the automobile museum profession in 2004.